In the summer of 1983 City spent £100,000 on a young reserve striker from Spurs. Bobby Gould’s astute signing top scored in each of his three seasons and collected Player of the Year in 1984/85. 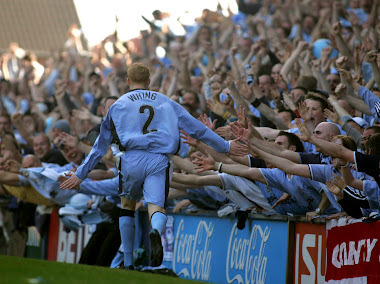 In just 113 appearances he netted 53 times scoring in seven successive games during his final season. Terry Gibson went on to play at Old Trafford and then re-united with Gould at Wimbledon. 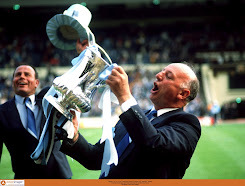 In 1988 he won an FA Cup winner’s medal in their victory over Liverpool just 12 months after our cup final success. ‘Gibbo’ was a different kind of striker to his predecessors Mark Hateley and Garry Thompson. 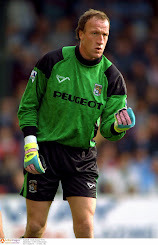 Little known prior to signing it took him just over an hour to open his City account in the 3-2 win at Watford on the opening day. 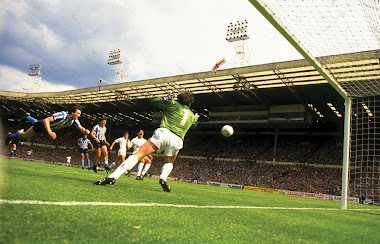 The Highfield Road faithful were impressed with their initial sighting of Gibson against Everton before he scored three days later in a 2-1 win over Brian Kilcline’s Notts County. With a fine turn of speed his finishing ability brought him a goal every two games in the top division including another winner at Watford a year later. 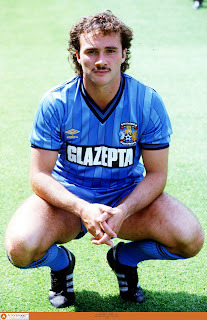 City always looked likely to score with Gibson leading the attack and it was a major loss when he joined up with ‘Big Ron’ at Manchester United. City supporters’ abiding memory of Terry Gibson is the stunning hat-trick against Liverpool at Highfield Road in December 1983 (see clip below: its a brilliant nine minutes but the best part for me is the fourth goal and what follows at 6:35 mins - cue John Motson). For modern day comparison it rivals Manchester United or Manchester City as Liverpool were the team to beat throughout the ‘80’s. 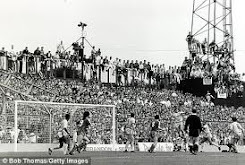 They ended 1983/84 as Champions and beat City 5-0 in the return fixture when Ian Rush scored four times. 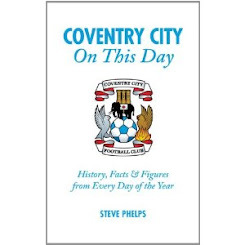 A fortnight later Joe Fagan's men defeated Roma on penalties to win the European Cup, 1-1 after extra-time, their goal came from former City manager Phil Neal. Bristol City’s squad is riddled with injuries and nerves, they are looking over their shoulders with an inexperienced manager at the helm. With the Sky Blue Army due to arrive on Easter Monday that fixture could well decide the final relegation place. If we can turn up at Watford we have every chance. 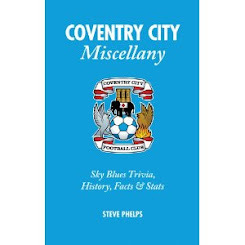 On Christmas Day we had 13 points but we've gone against tradition and improved our form in the second half of the season.Gibson’s supply line 28 years ago, Dave Bennett, will be in the commentary box for Mercia watching every minute of City’s battle for survival. With 17 winless away journeys to date let’s hope the drive/train home from Vicarage Road for ‘Benno’ and all the City supporters follows jubilant scenes in the away end as we celebrate an away win at long last. They must build on this performance it's just not good enough.Improve or it's another drop to oblivion. They weren't brave enough on the ball at Watford,the midfield were anonymous.Cody McDonald should have scored at the death.